Your AC may be keeping you comfortable, but is it doing so efficiently? If not, you could be wasting hundreds of dollars a year. Here are a few ways you can maximize your AC energy efficiency. For maximum AC energy efficiency, your heating and cooling ducts must be airtight. Locating and sealing leaks is an extensive process, so it’s recommended that you call in a professional for this work. It will be well worth it though, as sealing your ducts can save you quite a bit of cash every year, and the investment will pay for itself quickly. The air filter in your AC unit requires routine replacement. As it wears out your unit will become clogged with dust and debris, and this causes you to lose AC energy efficiency. A good rule of thumb is to replace it at least once every few months. Make that every month if you run the AC continuously or live in an area with poor air quality. Often when a customer has an issue with their AC energy efficiency, the problem lies in the walls or the ceilings, not in the AC unit. With inefficient insulation, air is constantly entering and escaping the home, and the AC unit has to work that much harder to compensate. This extra work can lead to a snowball effect where the AC unit works harder which in turn wears it down and further reduces efficiency. The only way to know that your AC is running as efficiently as possible is to get it looked at by a professional. These are complicated machines, and the list of things that can go wrong is long. It’s recommended that you perform an inspection at least once a year, preferably twice a year, to keep your HVAC running smoothly. The cost of these inspections pales in comparison to the savings you will realize from the increased AC energy efficiency. 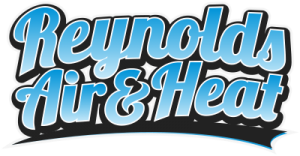 At Reynolds Air & Heat in Brevard County, Florida we know how important AC energy efficiency is for your home or office. Comfort is king and the less you have to pay for it the better. If you’re worried about your AC energy efficiency, simply contact us here or visit our appointments page to schedule an appointment today.